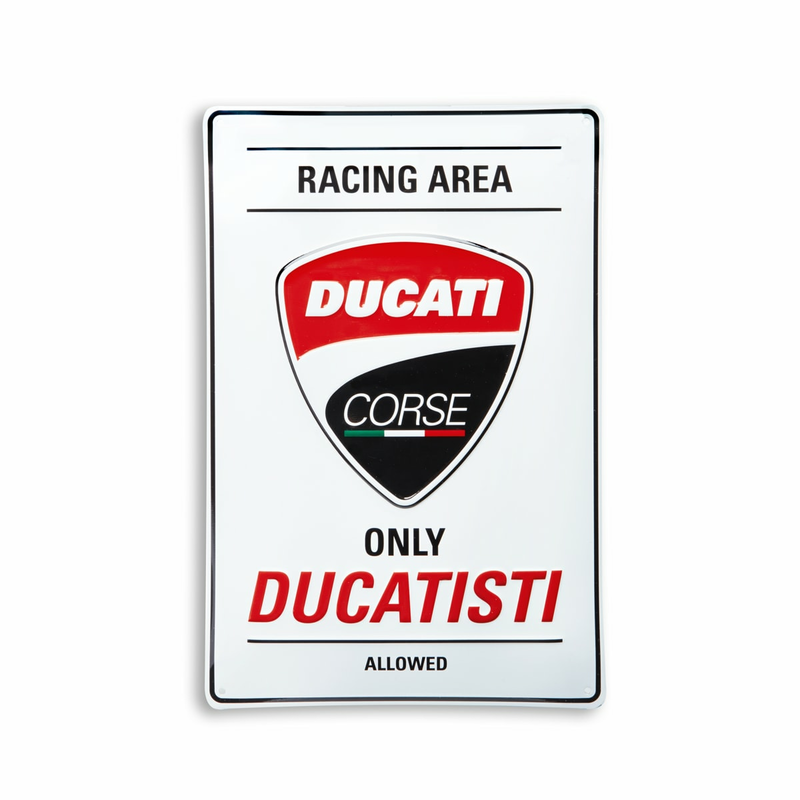 The Ducati Corse metal plaque is the perfect accessory to personalize your home, office, or garage. 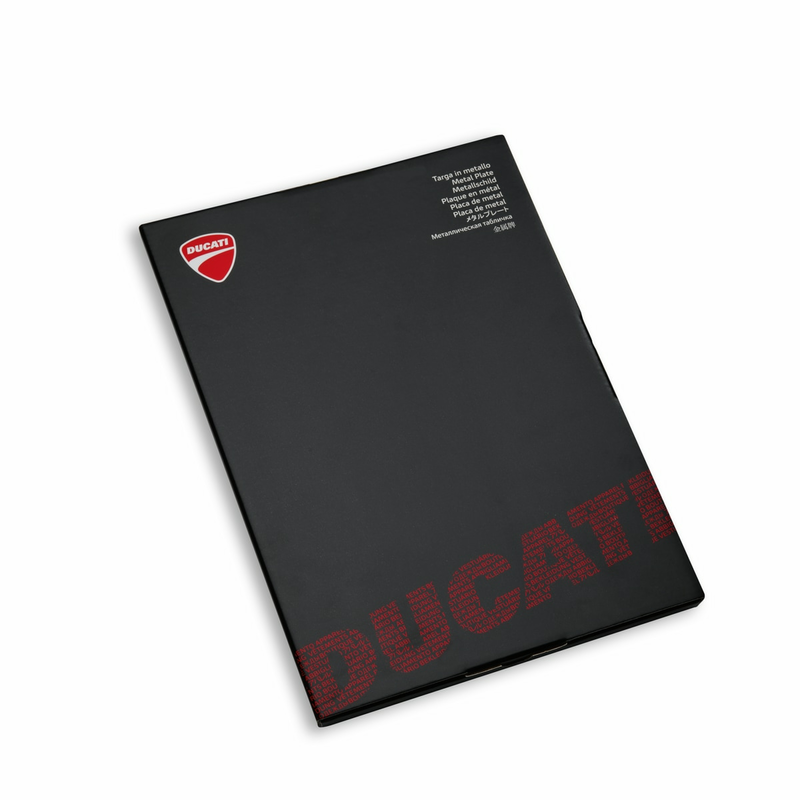 Made on a 0.5 mm thick plate, the plaque has folded edges and rounded corners for greater strength and safety. The embossed details and camber add a touch of unmistakable style! Measurements: 20x30 cm.